Watch Lucia Officially and Legally in HD. From the director of smash hit Lifeu Ishtene, Pawan Kumar, comes Lucia, the industry's first crowd funded film. An usher at a decrepit cinema suffers from insomnia. His life changes when he starts getting weird and wonderful dreams but with a caveat. Set in the teeming young metropolis that is Bangalore, the film is a turbulent ride where the lines between dreams and reality are blurred to delirious effect. Prepare to be surprised, very surprised. Other Movies We recommend you. The list of cities where LUCIA (with eng subtitles) will have a simultaneous release. Thanks to PVR DIRECTORS RARE. 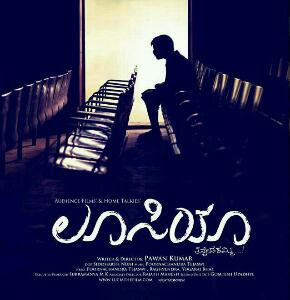 Lucia will be the first kannada film to be part of directors rare on the first week of release. They saw the trailer n the LIFF result n readily accepted. - Pawan Kumar. GET SUBSCRIBED TO WATCH LUCIA ONLINE.